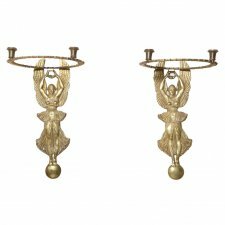 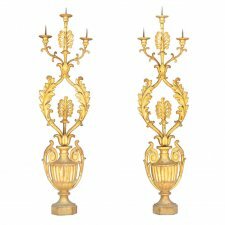 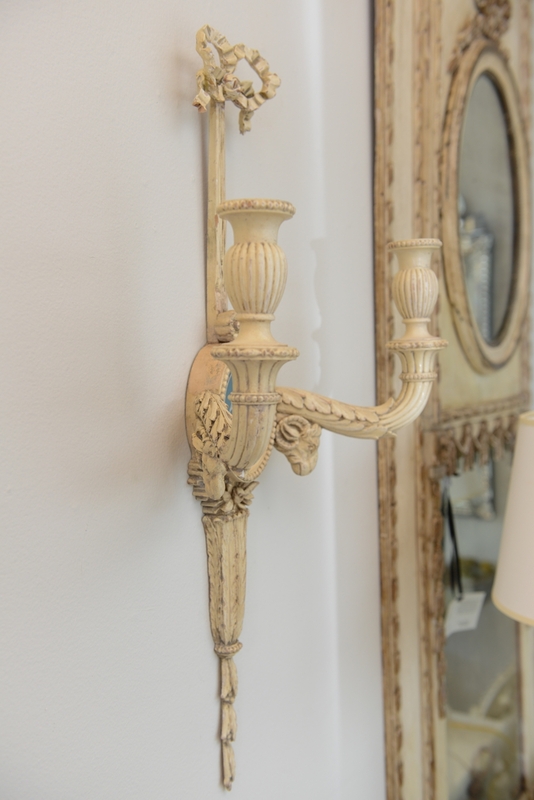 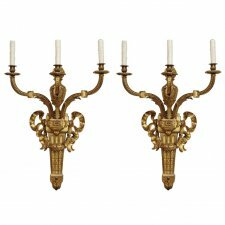 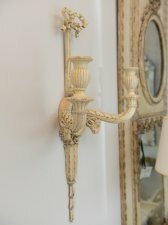 Home Antique Sconces Pair of 19c. 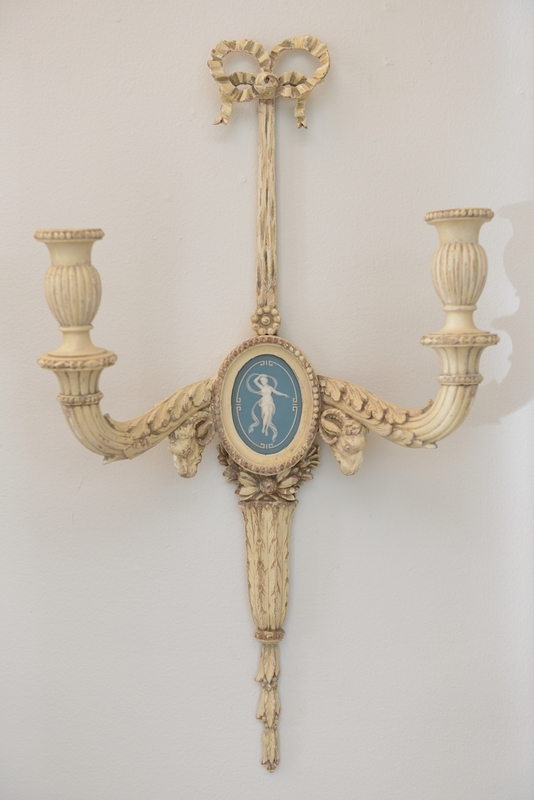 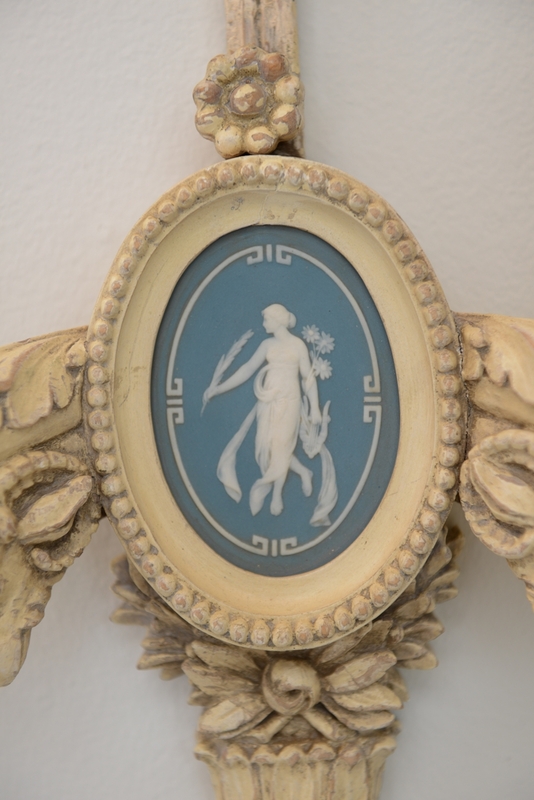 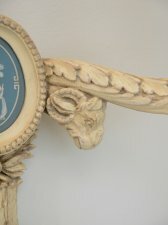 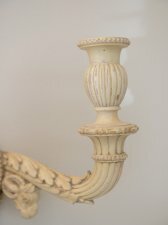 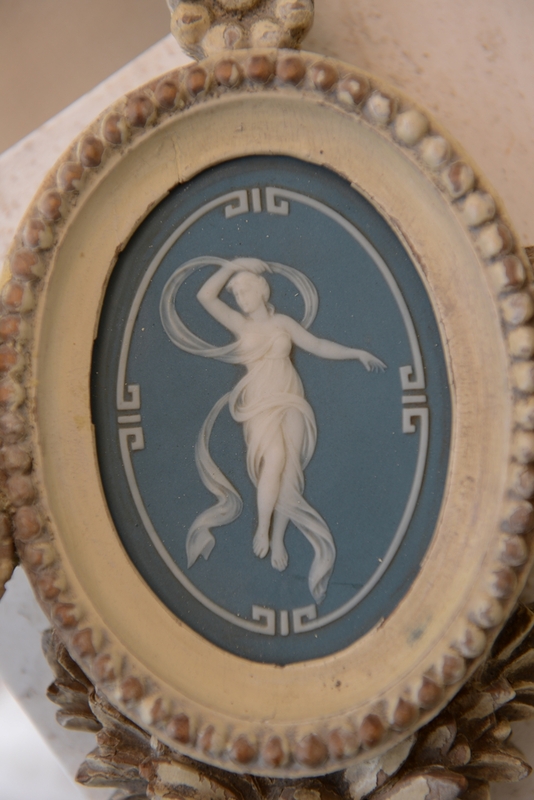 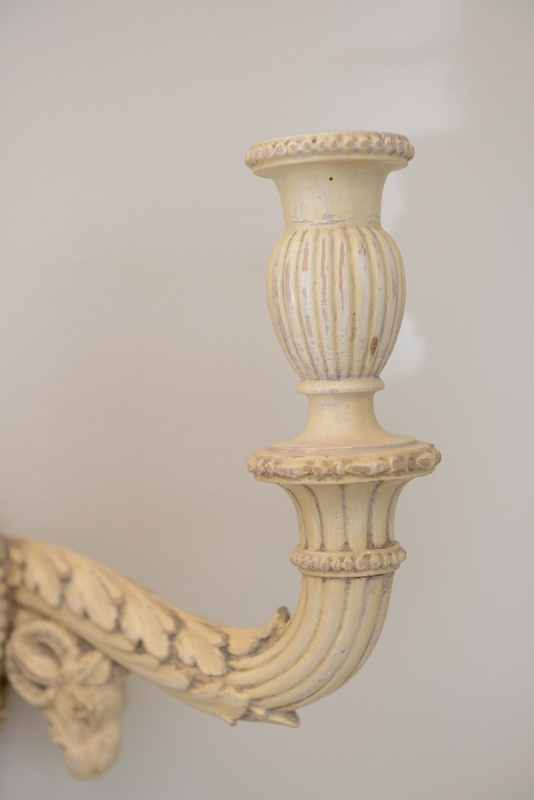 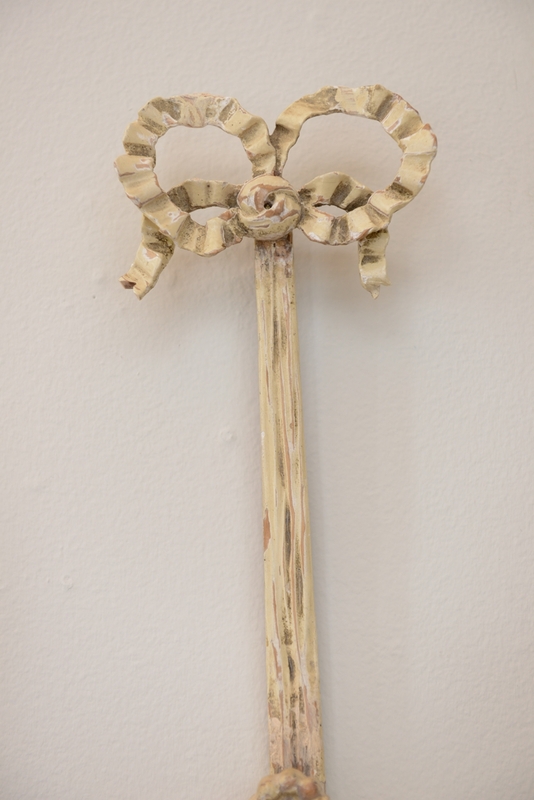 Carved Wood Sconces Centered by Wedgewood Bisque Plaques. 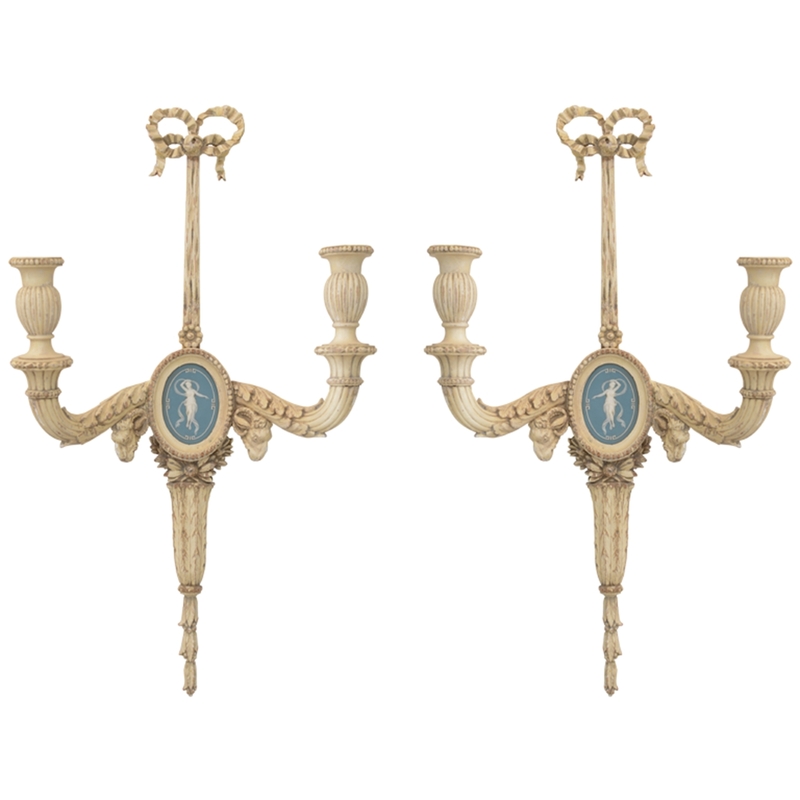 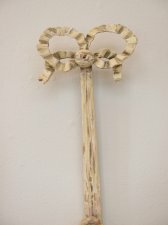 Pair of 19c. 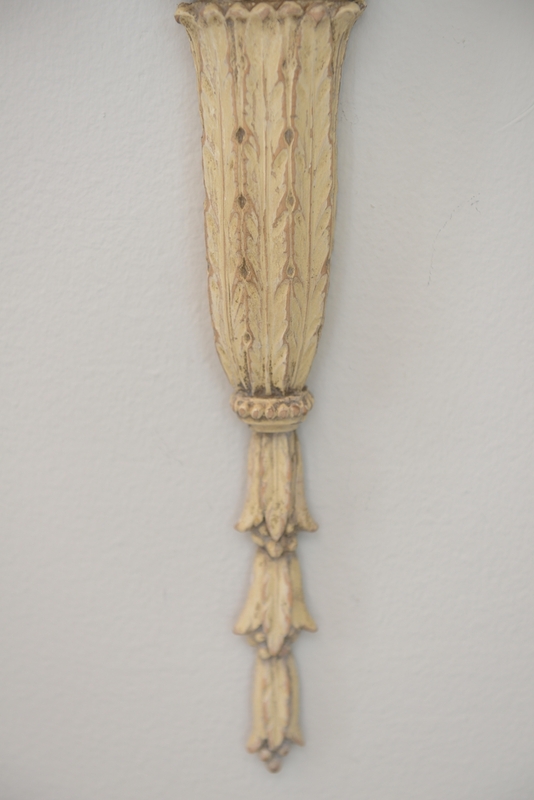 Carved Wood Sconces Centered by Wedgewood Bisque Plaques. 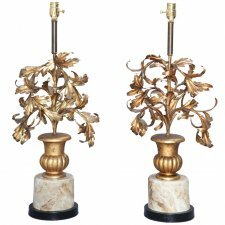 Opposing pair of sconces, of wood, having distressed painted finish, each surmounted by intricately carved bow; two scrolling candlearms supported by rams\' heads, centered with oval blue Wedgewood bisque plaque and terminating in foliate and laurel leaf designs.